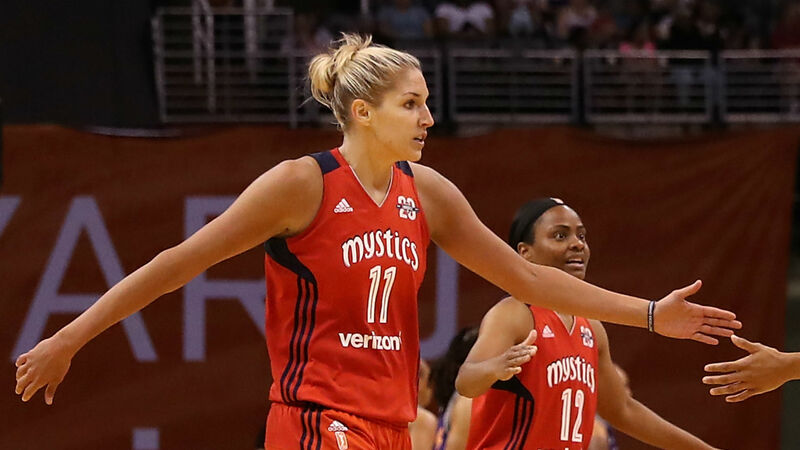 Washington Mystics forward Elena Delle Donne became the fastest player in WNBA history to score 3,000 career points on Sunday in an 80-77 loss to the Atlanta Dream. Delle Donne reached the milestone with 7:53 left in the first quarter, dropping a 3-pointer at the top of the arc to put the Mytics up 9-0 early in the game. She breaks the league record after needing just 148 games to reach 3,000 points. The previous record-holders, Diana Taurasi and Seimone Augustus, needed 151 games. Delle Donne has been on a rampage this season. Through 18 games, she’s averaged 20.6 points, 6.9 rebounds, 2.4 assists and 1.4 blocks per game while shooting a 46.7-37.2-91.6 (FG%-3FG%-FT%) split. She’s also scored double digits in all but two games so far this season. The Mystics forward was named the Eastern Conference Player of the Month after averaging 22.5 points per game, and scoring at least 20 points in four consecutive games to start the month.